We now manufacture custom made single fire rated doors. Our doors are UK tested to standard BS476 Part 20 & Part 22 (Section 5) and fully certified up to 4 hours. 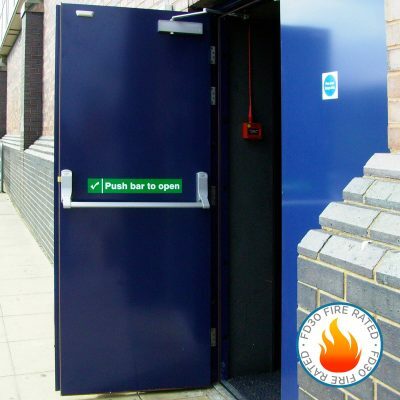 As with all of our made to measure fire exit doors, panic hardware options are available and other variations including vision panels and louvre panels. They are available primed, or powder coated to any RAL or BS colour. 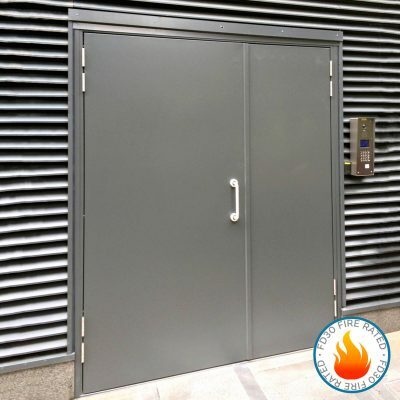 Fire Rated Steel Doors expand into their frame under heat, sealing off a room where a fire has broken out to prevent the spread of smoke and flames. They play an important role in emergency fire procedures and can be installed to help your building comply with fire safety legislation. 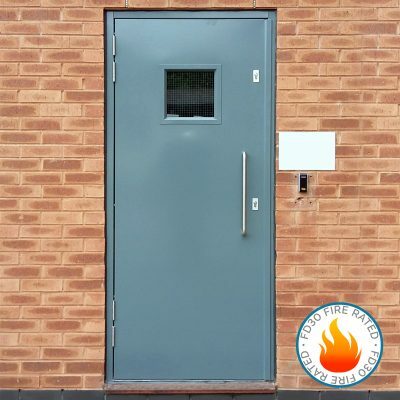 We offer these up to FD240, meaning the door will perform as intended for up to 240 minutes. 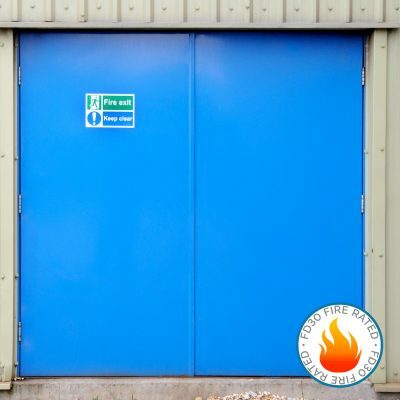 It is best used internally to secure rooms where fire risk is high or to secure rooms containing combustibles or other contents susceptible to fire.